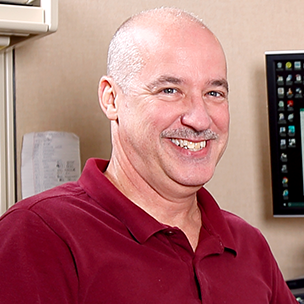 Electro-Voice understands the challenges of working in a variety of venues. 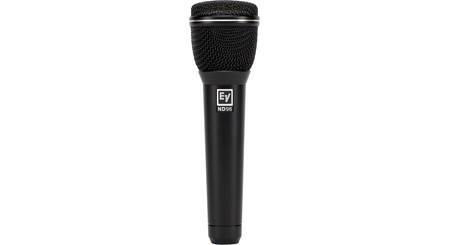 They optimized their ND86 dynamic microphone to deliver crisp, detailed output, so your vocals cut through even when the room is creating problems for your sound engineer. 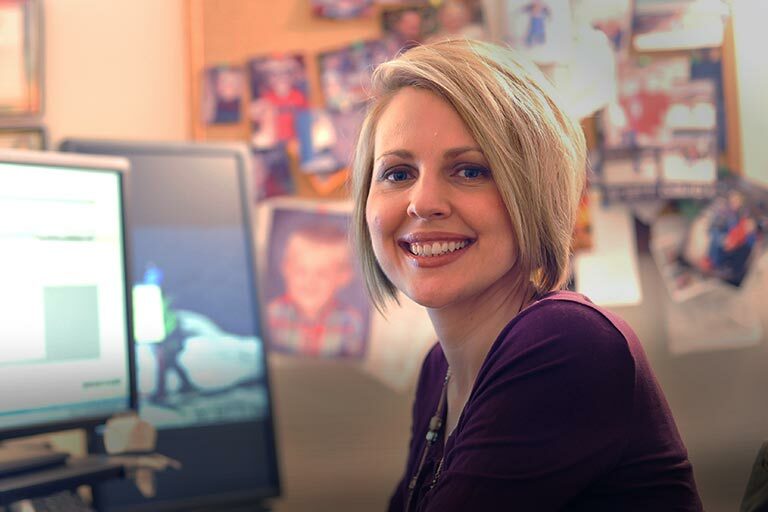 Its wide frequency range and feedback resistance make it a pleasure to work with. 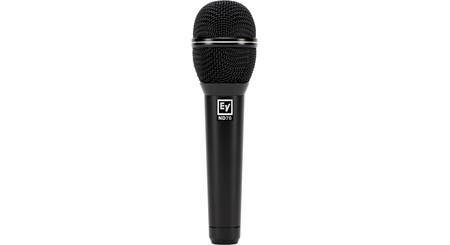 The shock-mounted capsule rejects thumps and other noises, while the rugged Memraflex grille protects the mic from rough handling. 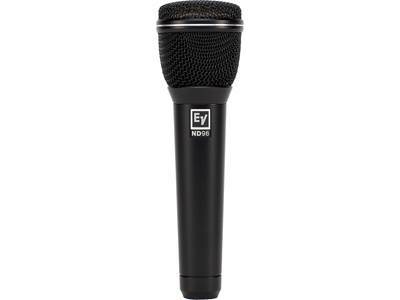 Overview: The Electro-Voice ND-series of microphones is designed to deliver consistent, superior sound quality. 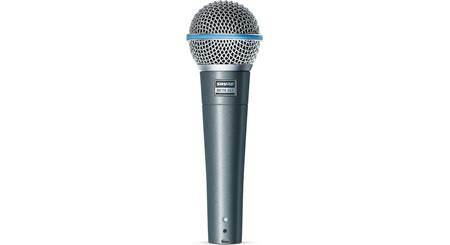 The ND86 is a high-performance vocal microphone with excellent acoustic control, even in large venues. The ND86 comes with a sturdy swiveling stand clamp, a 5/8"-to-3/8" thread adapter, and a padded, zippered storage case. Supercardioid Pickup Pattern: The ND86 has a supercardioid polar pattern for high gain before feedback and rejection of unwanted off-axis sound. Construction: The ND86 has a sturdy zinc die-cast handle covered with black polyurethane paint that can withstand rough handling gig-after-gig. The unique shock mount features a 4-point suspension around the circumference of the capsule, and a tuned pneumatic pump at the capsule base. This dramatically reduces handling noise and mechanical vibrations. The mic has a large Mylar diaphragm for rich, detailed frequency response and fast transient response. The microphone capsule is internally shielded with a "hum-bucking" coil to prevent unwanted AC hum and electromagnetic interference. The ND86 has a durable Memraflex grille made of a tight mesh wire that withstands the rigors of the road. Behind the grille is a hydrophobic cloth membrane which prevents moisture and dirt from getting to the diaphragm. 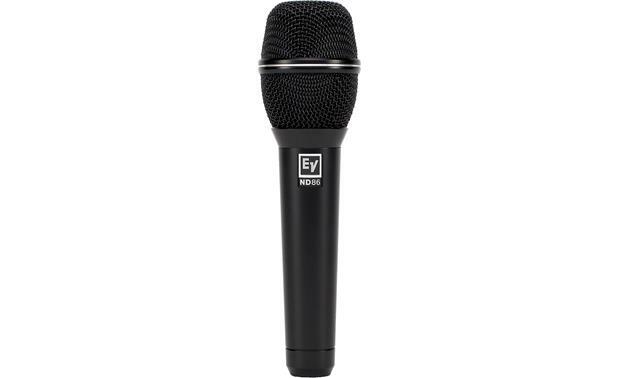 Dimensions: Diameter 1.991", Length 7.18"
The Electro-Voice ND96 is designed to boost vocals on loud stages. Searches related to the Electro-Voice ND86 Supercardioid dynamic microphone.